During the recent end of the Major League Baseball season, during the National Championship Series, Carlos Beltran reinjured his knee. Carlos’ manager, Mike Matheny, states “as he ran down his first at-bat something caught him in his knee.” “He came back down into the tunnel and checked him out and he was not doing well.” Beltran has suffered from knee pain throughout his career. He had an MRI and the results came back negative. Beltran, a 35-year-old player, sat out occasionally during the season with aches and pain sometimes in his knees playing in 151 games. Matheny states he had some issues on and off all season and on and off his whole career. Dr. Lox points out that many athletes have turned to regenerative medicine techniques such as platelet rich plasma and stem cell therapy in order to treat a variety of injuries that have not responded to conservative management including Tiger Woods, Alex Rodriguez, Rafael Nadal, and Kobe Bryant. 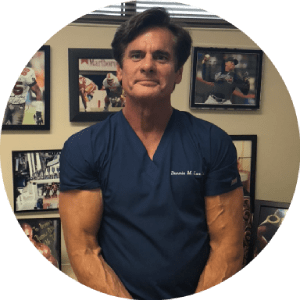 Dr. Lox points out that there may not be a specific finding on an MRI scan to have chronic problems and regenerative techniques such as platelet rich plasma and stem cell technology can be utilized and have been in these instances to help athletes recover faster and return to optimal performance in their sport. Not only athletes but individuals have been treated with significant osteoarthritis of the knee with improvement. Dr. Lox states that it is not just their decrease in pain but their improvement in their functional level, what they can do in their life, their social opportunities, and often their sporting activities is very important for them to seek out regenerative treatments such as platelet rich plasma and stem cell therapy in order to help improve their day-to-day life.